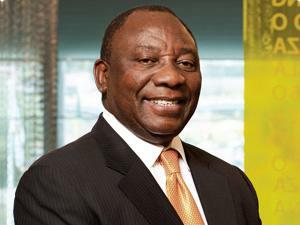 Deputy president Cyril Ramaphosa says government has embarked on a number of initiatives to get young people involved in the fields of science, technology and innovation. According to Ramaphosa, these initiatives are aimed at improving the country's skills base. His statement echoed president Jacob Zuma's announcement during the State of the Nation Address that government will prioritise maths and science in 2017. "On an overall basis, we have embarked on a number of initiatives to ensure we get a number of people in our country into science, technology and innovation, and we will start seeing the benefits of all this in the next few years as more and more of these young people become renowned scientists, become renowned academics with PHDs as we move ahead with greater success." Ramaphosa pointed out maths and science are key to driving growth in the country. He noted this is why the National Development Plan has set an ambitious target to increase the number of students who are eligible to study towards maths and science degrees by 2030. "In a rapidly changing global economy where many traditional qualifications are continuously being displaced by technology, as we would have heard about the fourth industrial revolution, it is critical that South Africa develops its scientific research capabilities and produces suitably qualified people who will play a key role in the evolving economy. "That is why government is directing greater effort and more resources towards skills development in science, technology as well as innovation," Ramaphosa added. While there has been progress in the area of maths and science, significant challenges still remain, he said. To address this, the deputy president said government has decided to increase donations to the provinces to promote teaching and learning of mathematics, science and technology. "The Department of Basic Education also plans to award 38 000 Fundza Lushaka bursaries over the next three years at a cost of R3.3 billion...particularly in maths, science and technology. "This is putting great resources into an area where we need to see great improvement."